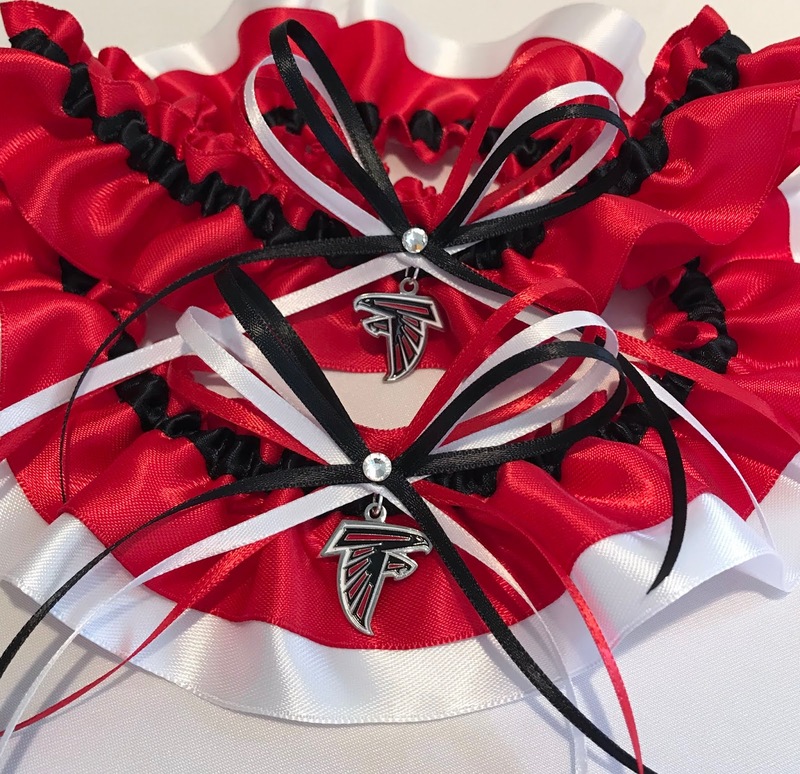 Just a fun shot of bride Tiffani's Atlanta Falcons wedding garter set! The black looks so good on the red! Marrying a Falcons fan? Find the perfect garter to surprise him with here!